Output is now CLOSED as of January 2019. Since opening in January beside the Wythe Hotel, Output has lured techno geeks and Manhattanites to an industrial stretch of Williamsburg rapidly evolving into the borough’s meatpacking district. A neon-illuminated bunker with vague references to a power plant, Output conjures Berlin-style ambience without the decadence. A rooftop patio recently opened. Few Jersey Shore fist-pumpers here amid an amiable crowd of electronic music fans in their 20s and 30s in V-necks and untucked oxfords. With music roaring past 4 a.m., patrons guzzle water after hours. Expect long sets from established and cutting-edge electronic D.J.s like AraabMuzik, Danny Tenaglia and D.J. Shadow. At parties like Horse Meat Disco or Maison Kitsune’s anniversary jam, the Funktion One sound system (one of only two in the city) renders any synth-buried high-hat crystalline clear. You don’t come to Output to be seen; you come for the music and atmosphere. Output brings a wide variety of talent. Past acts have included Madeon, Kaskade, Disclosure, Dusky, etc. Check Discotech to see who’s spinning. Output features two rooms with two different DJs. May need to buy separate tickets for each room. Make sure you have the correct room when purchasing tickets! No pictures or video. Cell phones are highly discouraged. Except on the rooftop. 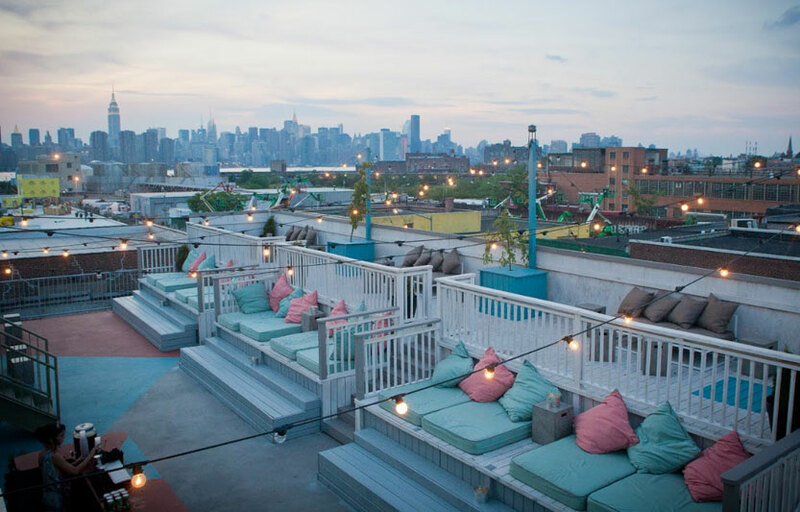 The rooftop deck – A little bit of an adventure to find for the first time, but worth it once you do. It’s a good place to pre-game if you arrive “early.” (I also like Kinfolk bar across the street for that purpose). The rooftop is great as well for a late night breather or a smoke break (ironic, huh). Lots of varied seating including mattresses. A prime view of the Manhattan skyline. During the summer weekend afternoons, there’s rooftop-only events for those who like their electronica in the sun. There’s no VIP: but there’s VIP-style couches everywhere. Anytime you want to sit down and take a break on any one of the many leather couches, go right ahead. Atmosphere: dark, yet well-lit enough to get around and see the people around you. The lights & strobes are unreal and make for some incredible visuals. Fog machines and strategically-located fans keep everyone cooled down during the crowded hours. Co ed bathrooms – great for couples or guy/girl friends because you can go into the bathroom together and leave together (not wait for her to take forever in the girls’ line or vice versa). There are a lot of bathrooms available. 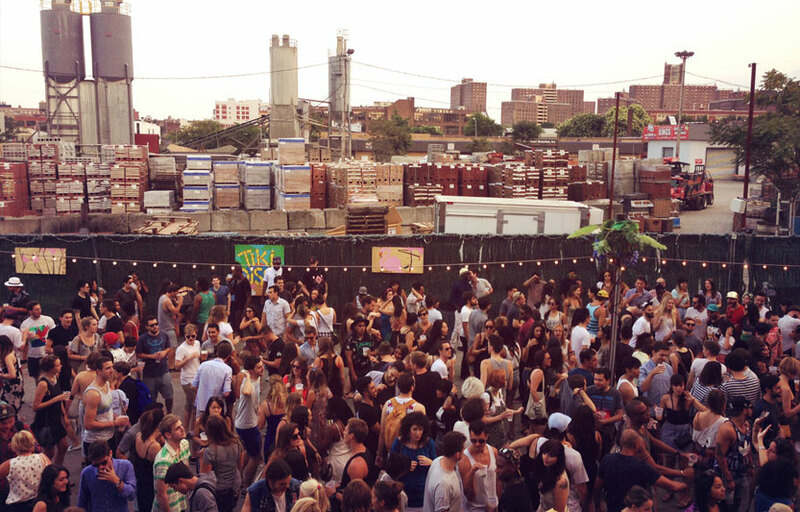 Output is located at 74 Wythe Ave in North Williamsburg. How much is cover charge at Output? Presale tickets ranges from $10-30 depending on the night, and general admission at the venue is generally $10 more – $20-40. How long will I have to wait at Output? They are usually pretty good about moving the line quickly. Expect to wait 15-45 minutes depending on how busy the night is. Output the nightclub is open from 11 PM to 6 AM on Fridays and Saturdays. What are the best nights to go to Output? Both Fridays and Saturdays are pretty good. It really depends on the DJ and what type of music you’re into. What is the dress code at Output? Output does not have a dress code, but rave gear and business attire are discouraged. Just look presentable and be ready to dance. How much do drinks cost at Output? $12 signature cocktails and $9 22oz beers – more than reasonable pricing for NYC. Output brings in different talent on each night. You can see a listing of upcoming DJs on the Discotech mobile app. What kind of music do they play at Output? Output is devoted primarily to underground dance music in all its forms, including house, techno, deep house, bass music, live electronica, indie dance and nu disco. 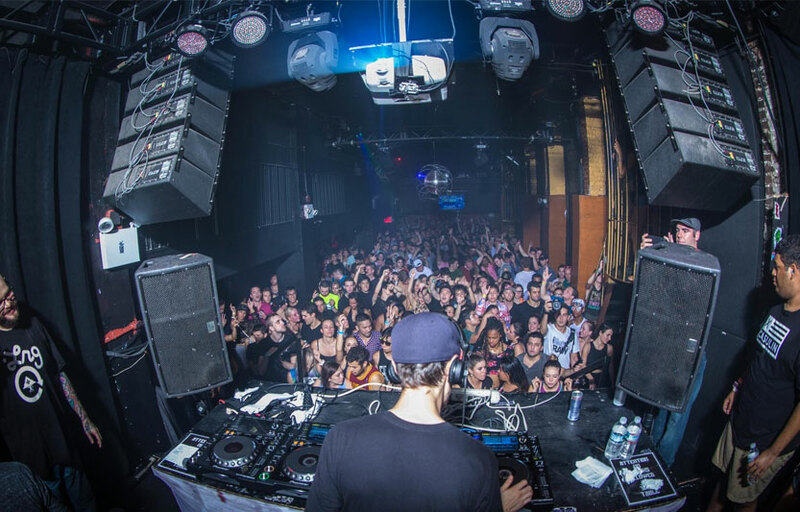 If you are looking for trance, hip hop or mainstream EDM, another venue may be more to your liking. What is the closest subway to Output? Bedford Ave on the L Train. Where can I find an list of upcoming events / DJs at Output? You can download the Discotech app to see upcoming events and book tables for Output. You can also visit Output’s website for a current list of events.